With the proliferation of anime streaming services like Crunchyroll it has never been easier to get into this style. 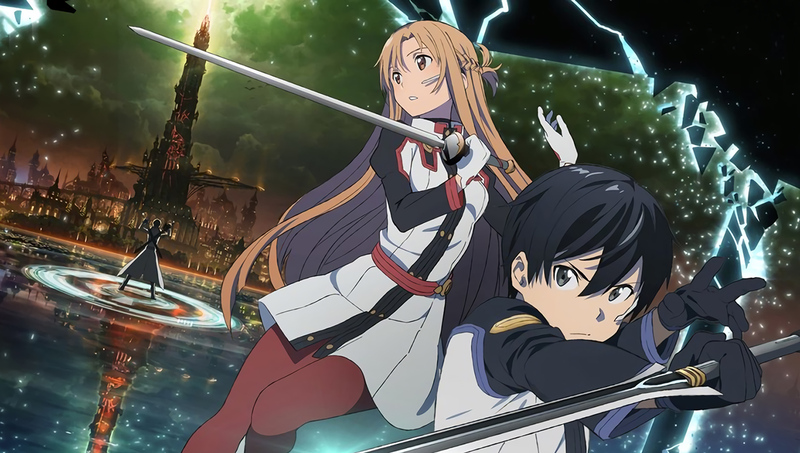 Despite the success of some anime franchises in the West, it has been difficult in the past to get access to a variety of shows and movies, no matter how popular they are in their home country. This tends to come down to licensing these properties for distribution and adapting them for a Western market, from changing music and re-editing lip movements for dubbing, to creating subtitles that roughly translate Japanese dialogue. Even with wider access to this media available, it can be an intimidating prospect to know where to begin. While a film like “Akira” is extremely influential and has some striking and imaginative visuals, it is not a very effective adaptation of its source material (six volumes of manga totaling 2000 pages in length) since it attempts to fit too much content into a feature film’s runtime, and the localization is pretty infamously bad. Starting there could make it difficult for a new viewer to appreciate what the film does right, and could leave them with a negative impression of anime broadly speaking. And while it is always safe to go with a Studio Ghibli film, they all tend to be much more similar to each other than they are to any other anime films thanks in large part to Hayao Miyazaki’s signature style. With this in mind, the following ten films all serve as excellent entry points into the anime style. They each have some of the finest examples of visuals, storytelling, and direction on display, and are sure to leave you with a strong impression for what this style is capable of. Above: “Summer Wars” is one of the best examples of fight choreography in anime. 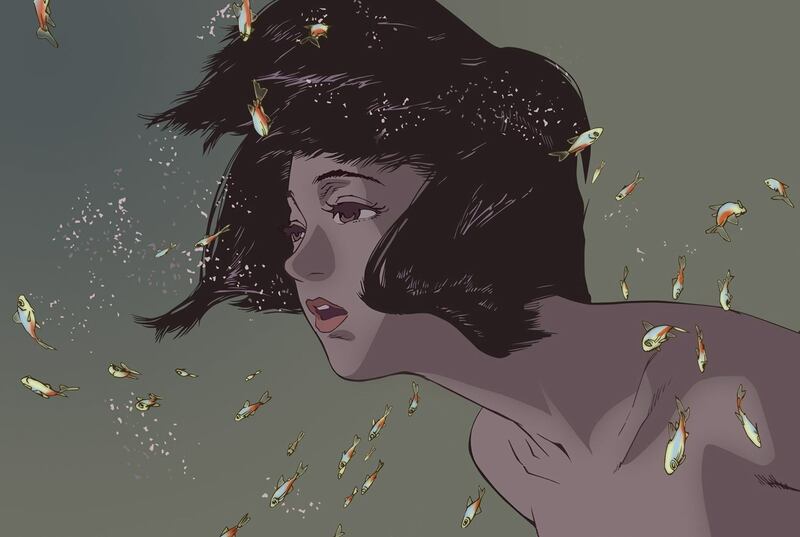 Satoshi Kon’s penchant for trippy visual story-telling is already on full display in his first film. Any of the films directed by the late Satoshi Kon would make fine entries into this list (and at least one other is on it). Kon made his directorial debut with “Perfect Blue,” a film about a J-Pop star named Mima who decides to leave the music industry to become an actress. The events that unfold from this involve obsessive stalkers, shared psychosis, and murder, which all leaves Mima struggling to distinguish who she really is from her life in show business. All of Kon’s films show his fascination with duality, and “Perfect Blue” is no exception. Mima exists in two different worlds: one as a girl who just wants to live her life, and the other as a pop idol with countless adoring fans projecting themselves onto. As the film progresses the line separating the two sides of Mima’s life blurs further until it disappears altogether. The film can be truly terrifying at times as Mima’s and her fans fall more and more into the roles of victim and assailant. 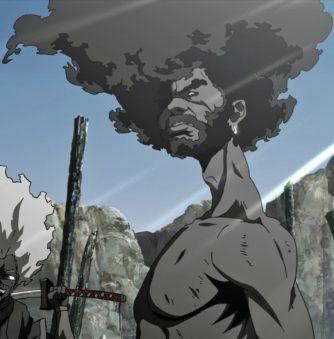 Its character designs are intentionally un-glamorous and grounded in reality, contrasting with other anime style that were popular at the time of its production. This gives its horror a tight, grounded feel that makes it difficult to distance it from real life. A touching story of love, loss, and learning how to grow stronger. While “Perfect Blue” sets out to make a world that feels intentionally realistic, “Wolf Children” focuses more on magical realism. In modern-day Tokyo a college student named Hana falls in love with a man who can turn into a wolf. The two start a life together, and Hana gives birth to a daughter, and then a son one year after. Both children inherit their father’s power. Things take a turn for the tragic when the Wolfman is killed in an accident, and Hana is left to raise their two children on her own. To help keep their abilities a secret, Hana moves them from the city out to the countryside to a broken-down house that she must refurbish on her own. 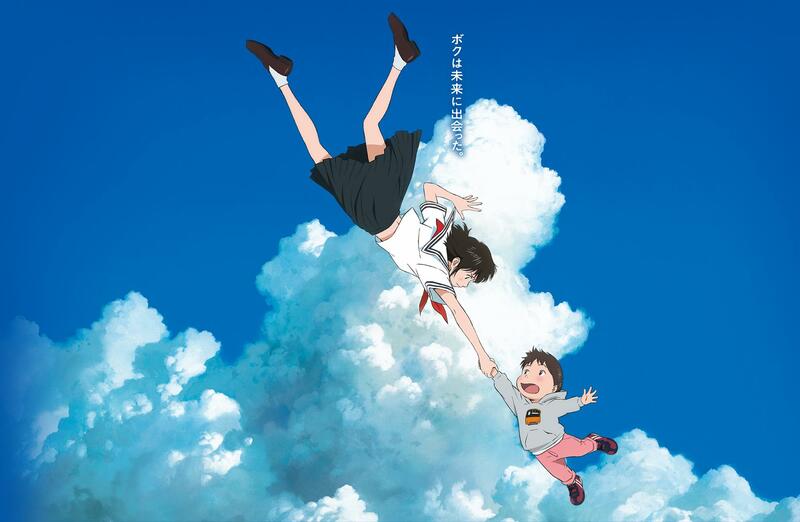 “Wolf Children” is a story that takes its time. While it is ultimately about Hana struggling to raise her children as a single mother, and her children coming to terms with their human and wolf sides, it does not rush through any of this. The end result is a story that feels like a slice of life. The fantastic elements are well-incorporated, but the film would still work even if it didn’t include any of those elements. It can, and likely will, easily make you cry both in sadness and in joy. 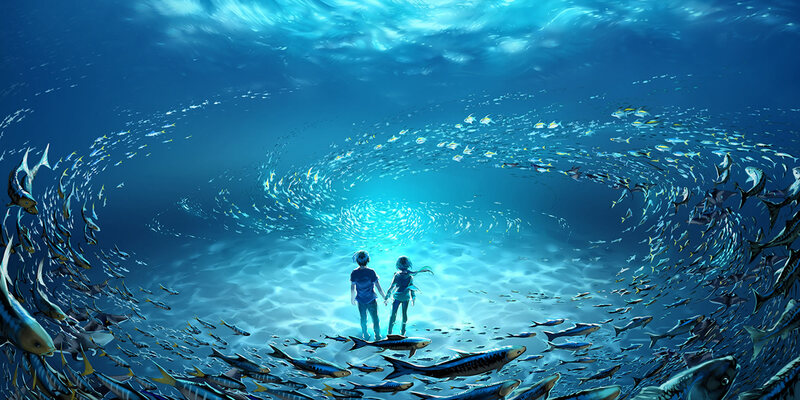 “5 Centimeters per Second” is a bitter-sweet story inspired by young love. 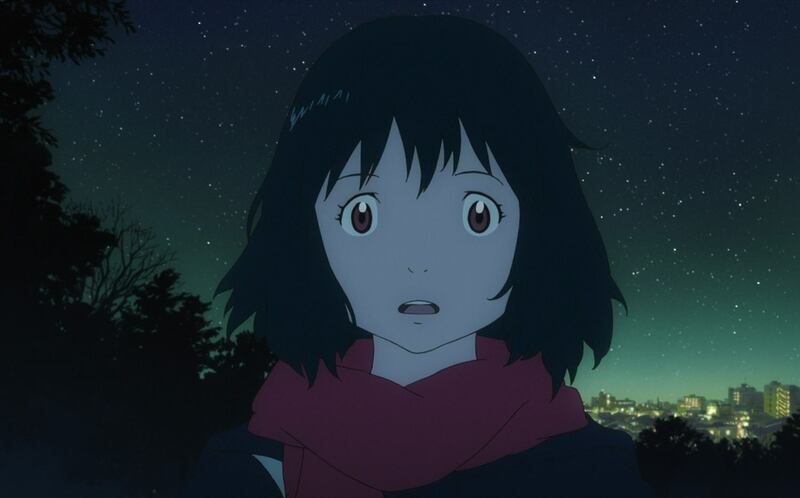 “Wolf Children” is hardly the only film on this list that will make you cry, though. 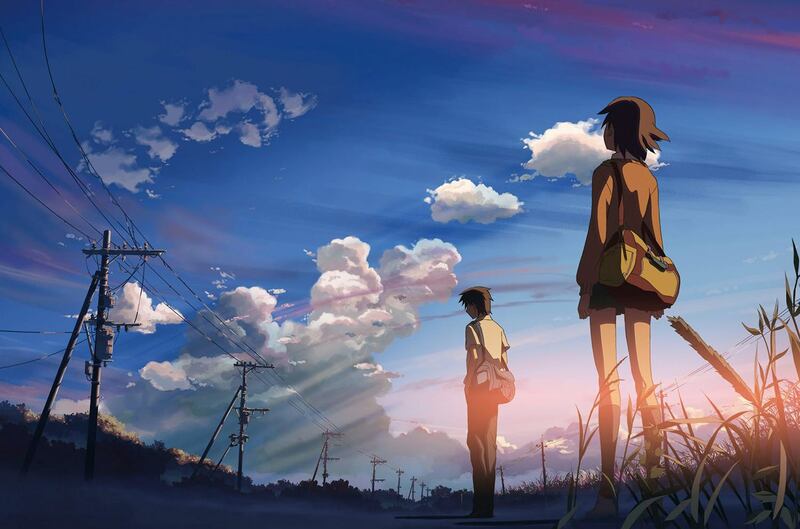 “5 Centimeters per Second,” as are most other films from director Mokoto Shinkai (2016’s “Your Name” is another title that we have looked at in the past). The film takes place over two decades from the 1990s to 2008. It follows a young boy, Takaki, at various phases of his life. 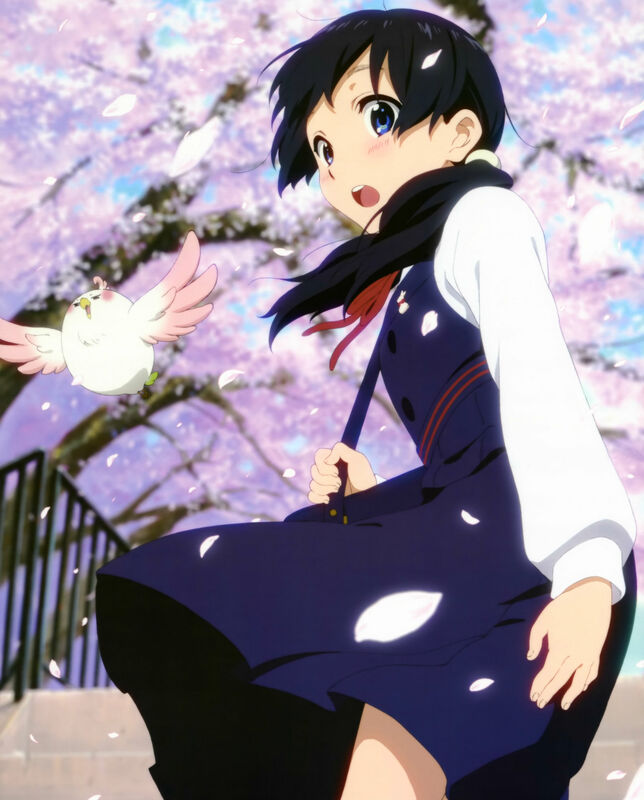 The first part of the film focuses on his developing feelings for his childhood friend Akari. Takaki’s parents are going to move to the other end of the country. On the last night before the move he resolves to finally tell her how he feels. The two spend all night talking together and promise to one day watch the cherry blossoms together again. The next two chapters jump forward in time and show Takaki at various points in his life, and the way that this childhood romance affected him. While Mokoto Shinkai would hone his talent for gorgeous visuals and heart-breaking stories later in his career, it is still on full display here. “5 Centimeters per Second” does a great job of capturing the feeling of unfulfilled love of youth. It is a very real, grounded story with relatable emotions. 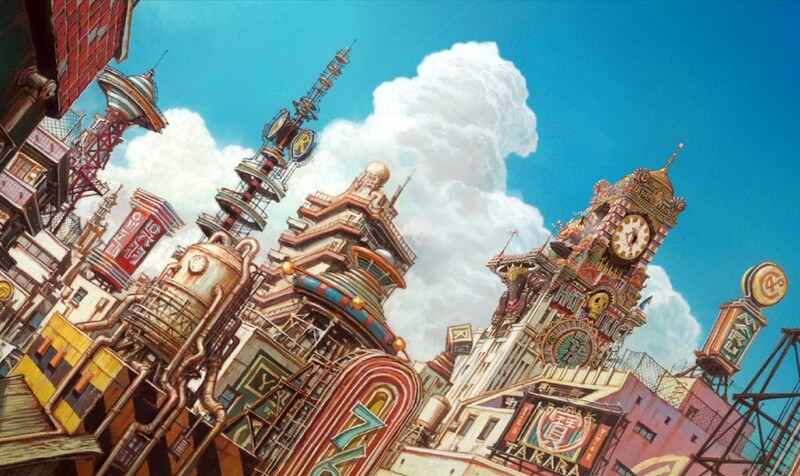 This fantasy epic combines Otomo’s gritty style with the optimism of steampunk. In contrast to “5 Centimeters per Second,” “Steamboy” is a visually stunning, big-budget spectacle that is designed specifically around a fantasy world. 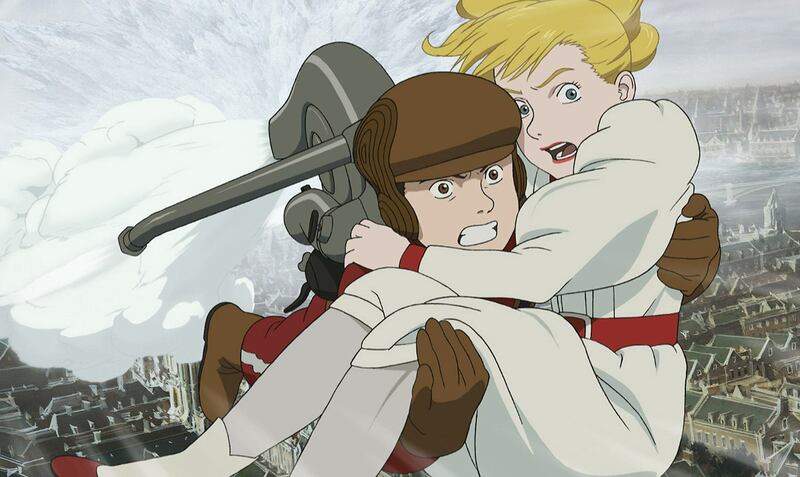 The second feature-length anime film from “Akira’s” Katsuhiro Otomo, “Steamboy’s” story is a vehicle for its visuals. Set in an alternate 19th century Europe, this world has developed wonderful uses for steam power. An inventive young child named Ray is sent a mysterious metal sphere by his grandfather, along with instruction to guard it carefully. Ray is caught up between two different organizations, both of whom want the “Steamball” for their own purposes, and is forced to carefully examine his own moral compass. As a scientist he wants to contribute to the world, but he must also work to keep his vanity in check or else his creations could be used for sinister purposes. “Steamboy” is especially noteworthy for its animation, which utilized more than 180,000 drawings and 400 CG cuts. Even fairly simple scenes are gorgeously animated, and the larger set pieces are every bit as impressive as any Hollywood blockbuster. Perhaps equally noteworthy is “Steamboy’s” unexpected optimism, which fans of Otomo’s other work likely will not expect. While it does have his special brand of darkness and grime adding texture to this world, it also has a very tangible sense of good thanks to caring characters who want to do the right thing. “Grave of the Fireflies” is a beautiful story borne out of author Akiyuki Nosaka’s experience growing up during World War II. The contrast between grim darkness and human goodness that is present in “Steamboy” is magnified in “Grave of the Fireflies,” largely because this film is set in Japan in the final months of World War II. 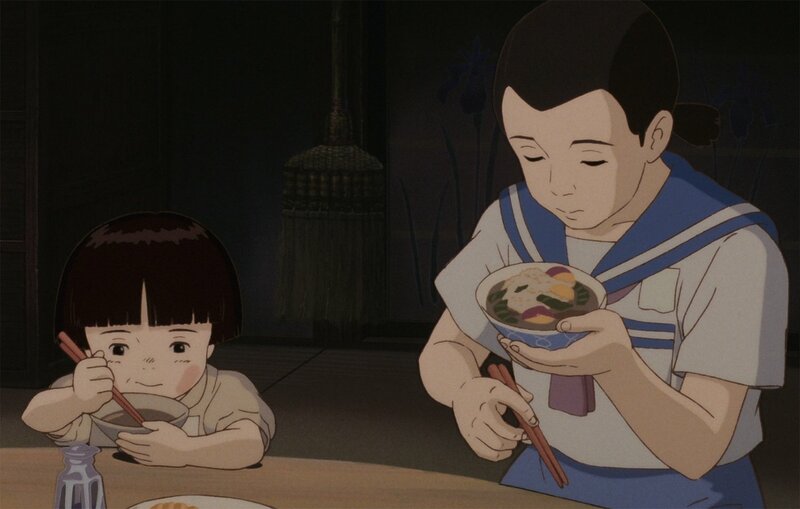 Where most Western films set in that era focus on the international conflict, usually through groups of soldiers, “Grave of the Fireflies” maintains a tight focus on a brother and sister who are caught in the crossfire. As the war continues they slowly lose more and their optimism is worn away like a stone eroded by water. This is an emotionally devastating film, and stands out amongst the studio Ghibli filmography for its extremely realistic and heartbreaking anti-war message. Akiyuki Nosaka, the author of the short story that the film was based on turned down numerous offers to adapt it to the big screen. He thought it was impossible to do justice to the story in any other medium. After seeing the storyboards, he explained in an interview with Animerica magazine, he “realized this could have only been done with animation.” And it isn’t hard to see why he would feel that way, either. “Grave of the Fireflies” portrays a world that is difficult to recreate in live action at the best of times, and does so with an attention to detail and intimacy that makes the events that unfold all the more emotionally touching. Three transient people are brought together on Christmas Eve to save a lost baby and find her family. Like “Grave of the Fireflies,” “Tokyo Godfathers” is another film whose story is highly emotionally touching. 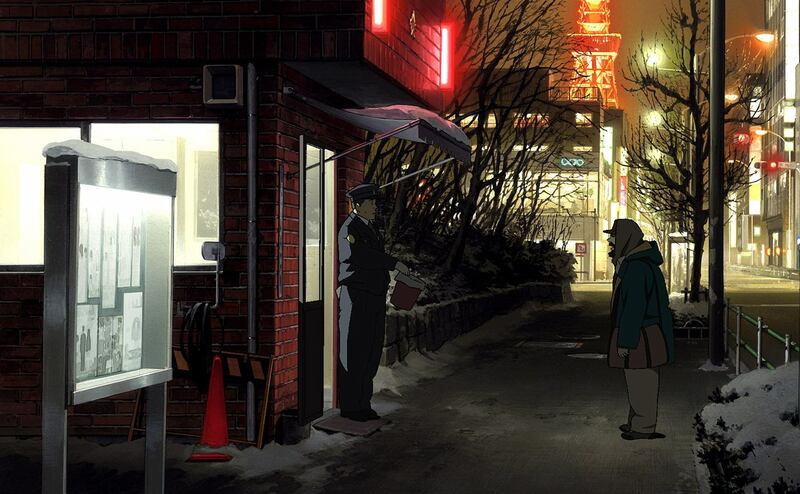 The other film from Satoshi Kon on this list, “Tokyo Godfathers” follows a middle-aged alcoholic, a trans woman and former drag queen, and a runaway girl who find an abandoned newborn baby while looking through the garbage on Christmas eve. Being homeless, the three resolve to find the girl’s parents to give her a roof over her head. Using the contents of the bag that they found with the child as a starting point, the trio set off on an increasingly strange quest. The film’s story relies heavily on coincidences as they find a series absurd situations connected together. Where that might be seen as a weakness in some movies, here it is used to highlight the seemingly insignificant ties that bind all people together. Throughout the story these three disparate people form a sort of pseudo-family for the baby in place of her absentee parents, creating a family unit made from disparate odds and ends that not only protects the baby, but also supports each other when faced with their own demons. The further into their quest that they go, the more dark and unusual the circumstances of the child’s birth become. Despite these developments, the film is a wonderfully touching Christmas story of people coming together. 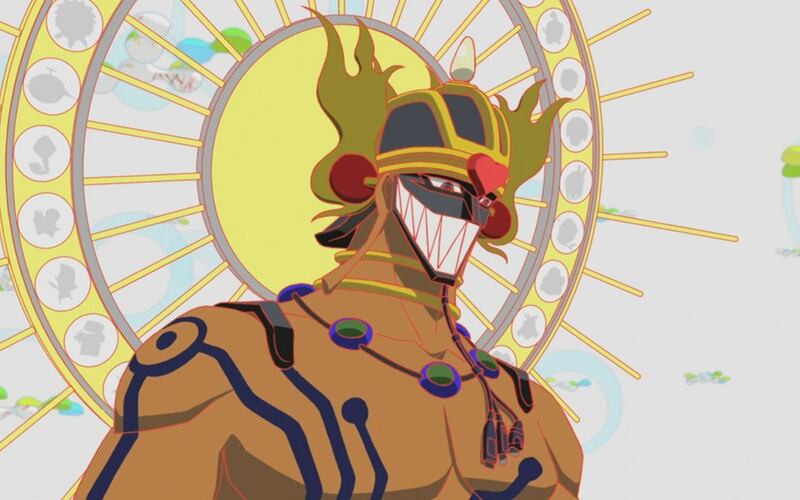 While not the first film to be partially set in cyber-space, “Summer Wars” is one of the most visually striking. “Tokyo Godfathers” is a very intimate story about the unexpected connections that bring together all people in times of crisis. 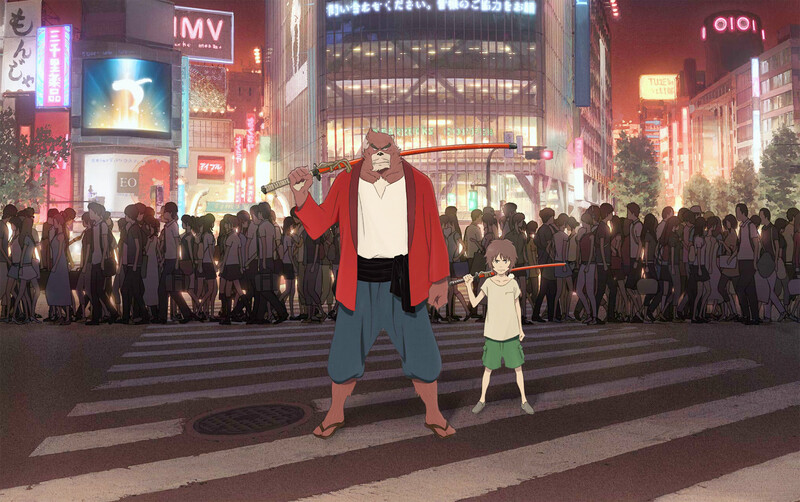 “Summer Wars” is the same, but expanded to a national level. While that may sound improbable, in the context of the film it works. A high school student named Kenji is invited by his friend Nasuki to her grandmother’s 90th birthday. The party is in the family’s traditional home in the country, and serves as a massive family reunion. This rustic setting gives the extended family a chance to develop their characters. They feel real, and their love for each other and for the grandmother is tangible. The setting also contrasts with the film’s science fiction elements. Set in the not too distant future, the world of the story has a computer generated virtual reality social network where people interact through avatars. Kenji inadvertently becomes involved in a global threat when an artificial intelligence uses his avatar to hack and destroy real world infrastructure. Kenji, Natsuki, her extended family, and eventually the whole world need to stand together to stop this threat from causing wide-spread destruction. 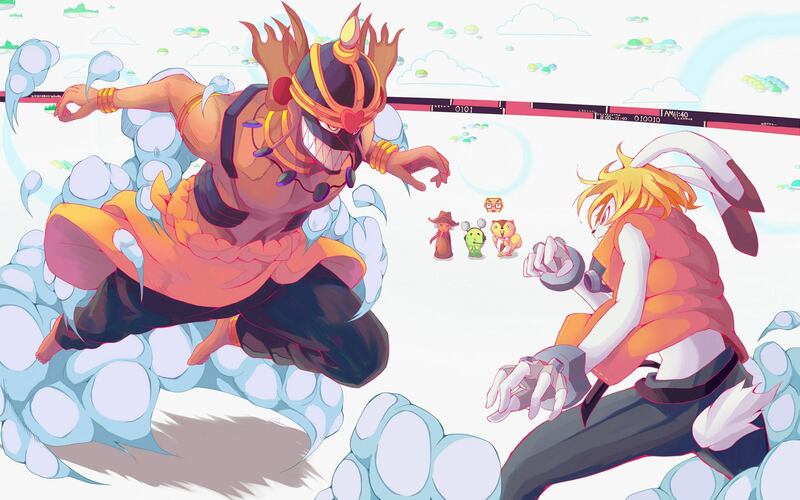 Anyone who watched “Digimon: The Movie” as a child will likely recognize elements the plot and the animation of “Summer Wars.” It feels like director Mamoru Hosoda (who also directed “Wolf Children”) was finally able to tell the story that he originally wanted to with “Digimon.” The two films share multiple plot points and narrative beats, but “Summer Wars” devotes much more time and attention towards developing its extensive cast of characters. 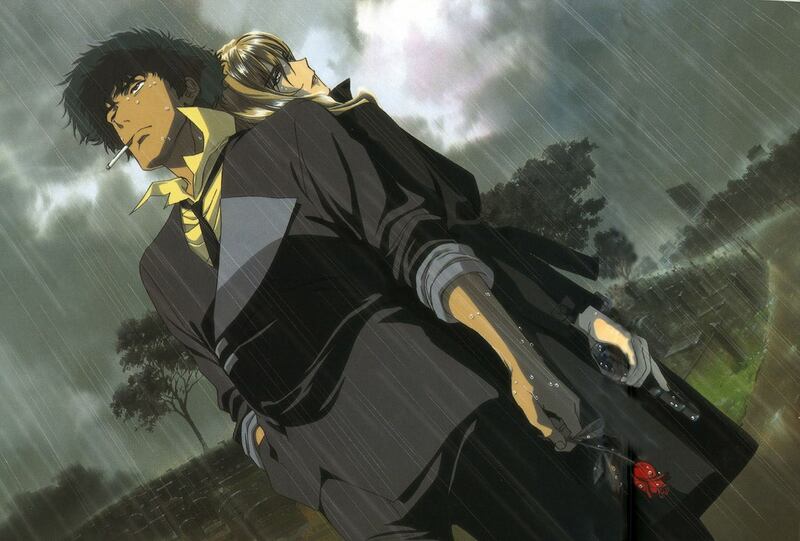 When it comes to developing characters, though, no franchise does it better than “Cowboy Bebop.” In fact, “Cowboy Bebop” is one of the most universally acclaimed anime series, and also serves as an excellent jumping-on point for newcomers to anime. The story follows the adventures of the bounty hunters aboard the spaceship Bebop: Spike, Jet, Faye, Ed, and Ein. Each episode is largely character-driven, with each member of the crew having their own motivations and their own methods. The show is also famous for its striking visual and for its amazing jazz soundtrack. The original series was 26 episodes long, with each one conceived by director Shinichiro Watanbe as a self-contained mini-film. “Cowboy Bebop: The Movie” is set between episodes 22 and 23. Humanity has taken to the stars and has settled planets all across the solar system while leaving behind the husk that was the Earth. A terrorist attack in the capital city of Mars leads to an enormous bounty on the head of the perpetrator, and the constantly-broke crew of the Bebop take the case. Any episode of “Cowboy Bebop” would make an excellent introduction to anime, and this film is no exception. It is also one of the few franchises where the subtitled Japanese version of the film and the English dub are generally regarded as being of equal quality. From the music to the characters to the visuals, everything here is pretty much perfect. While “Cowboy Bebop’s” visuals perfectly fit the world of the story, “Tekkonkinkreet’s” visuals are unlike pretty much anything else you will see. It is bizarre and unsettling in the most beautiful way possible, a world of junk and colourful slums controlled by gangsters but belonging to orphans. Said orphans, Kuro and Shiro, live on the streets of the pan-Asian metropolis Takaramachi. It is obvious from looking at the city that, though it was once great, it has declined into a shell of its former self. Still, it is home to Kuro and Shiro. Takaramachi and “Tekkonkinkreet” broadly speaking are defined in terms of opposites: black and white, light and dark, and the two orphans characterize that. Despite their differences they need each other in order to survive. The three-issue manga that the film was based on followed multiple plot threads, and the film synthesized those into a single whole that loosely revolve around the siblings as they are hunted by Yakuza and kept apart from each other by police. 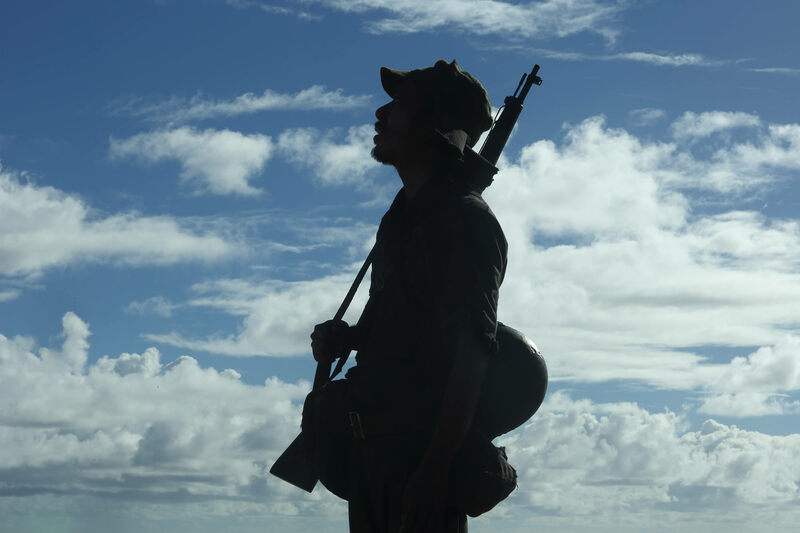 While the story is not particularly new or exciting on its own, the way the story is presented is what really makes this film a must-see. “Redline” pushes its speed and its action to the limit. 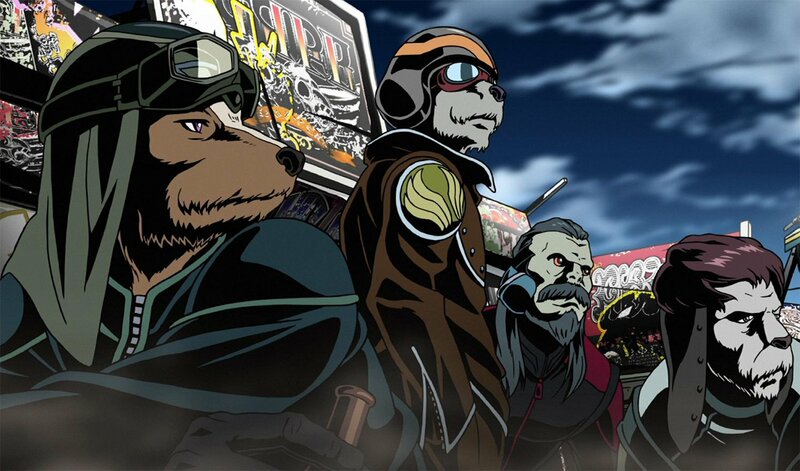 “Tekkonkinkreet” has a style all its own, but no film oozes style the way that “Redline” does. It is one of the most inventive examples of science fantasy in recent years, presented in stunning style defined by its heavy inking. The Redline is the most popular race in the galaxy, where drivers from all over compete for glory and riches with death on the line. The next race is set to take place on a planet of militant zealot cyborgs, who have threatened to kill anyone involved with it should it go forward. Obviously it goes forward. There really isn’t much to say about “Redline” in terms of plot or characters. It’s simply an example of style over substance being a good thing. This is a film that feels like the creators took every cool concept they could think of and threw them at a wall to see what sticks. There are not many words that can do “Redline” justice. 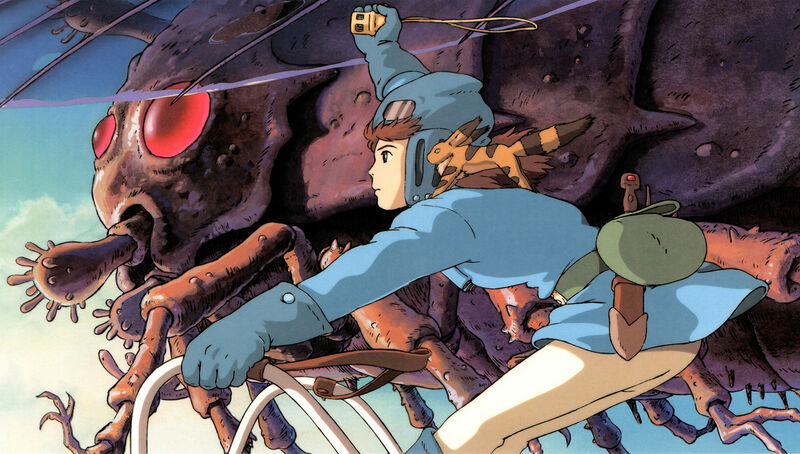 It’s something that you need to experience for yourself to fully appreciate, and in a distinctly visual medium like anime that is easily this film’s greatest strength.